Can I copy or reuse a campaign? If you're looking to reuse a campaign, you're able to clone a campaign to create a new fundraising campaign site that carries over the same design and settings as your old campaign. The design and settings of the new site can be edited as needed, and you must reconnect your donation processor. Note: you'll need to be on the Standard plan or above to clone a campaign. 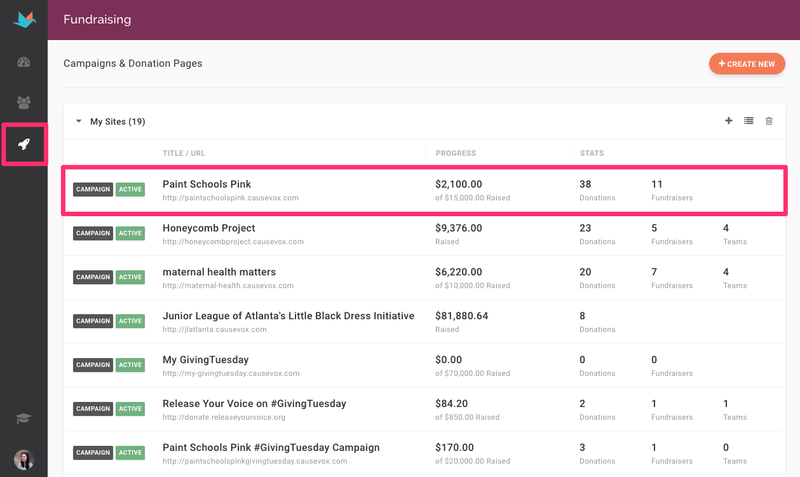 Step 1: Login to your account, navigate to your Fundraising (rocketship icon), and select the campaign you'd like to clone. 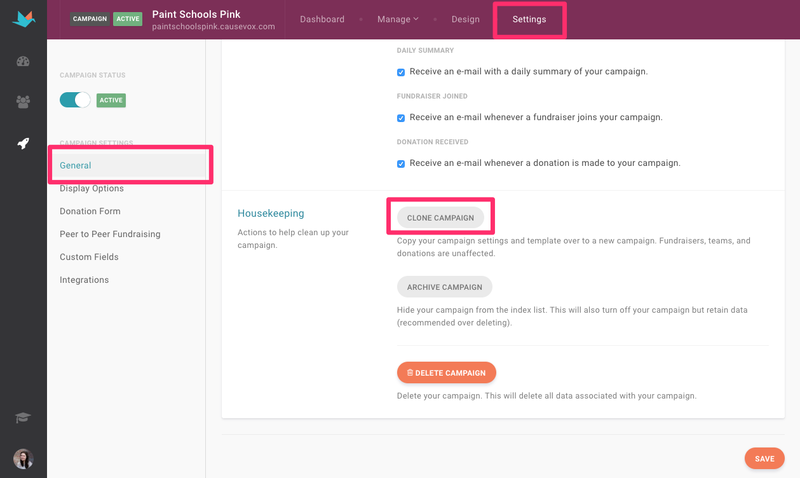 Step 2: Navigate to your Settings, scroll down the page on the General tab to the Housekeeping section, and select "Clone Campaign." Step 3: Select "Yes" when prompted to clone your campaign. 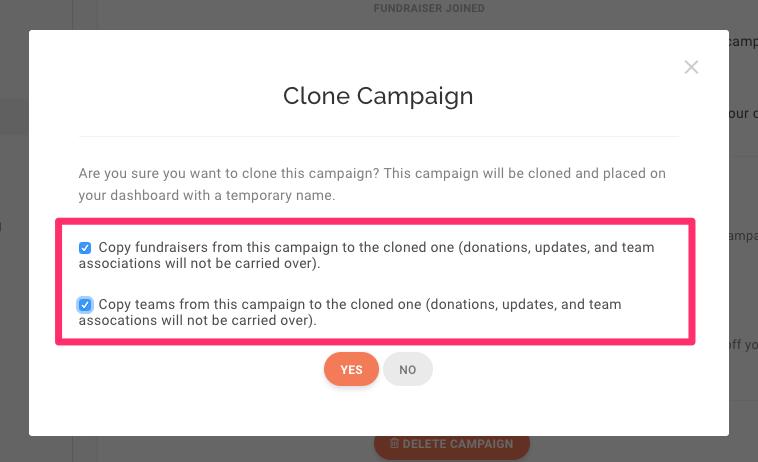 If you'd also like to clone the personal fundraising pages and team pages, you can select the two check box options. Your Design, Settings, and Personal and Team Fundraising pages (optional) are then carried over to a new campaign, starting from $0 raised. Donations are not carried over from the campaign. Let's say the old fundraising campaign site's URL is "http://campaign.causevox.com". Rename your old site to something like "http://campaign-2015.causevox.com (this releases the current URL). If applicable, remove any custom domains in site settings as well. Disable the old site in the site's settings (this will take if offline) if you'd like.